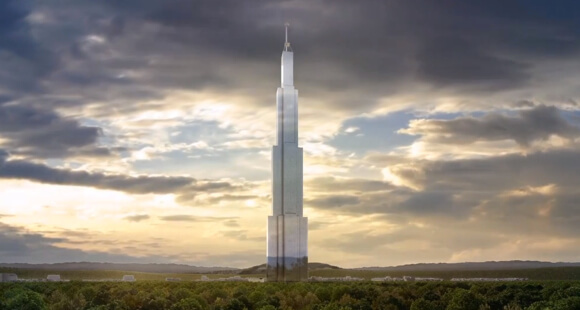 Can the World’s Tallest Building Be Built in 90 Days? Hello everyone, I hope y’all are doing well. Today, I want to talk about an article I found a while back. In the article, the construction company building the next building slated to be the tallest building world claims that they will do it by the end of 2013. At first, I thought this was not possible at all. However, the company, Broad Sustainable Building, has previously built a 30 story apartment building in 15 days. Apparently, the plan will be to prefabricate as much as they can off site in the 4 months before on site construction starts. Since they just got their permit this June that means they should be done with that by the end of September. This leaves them 3 months to do the on site construction if they want to finish in 2013. According the article, the plan is to build five stories of the building each day. Along with the quick construction time, the skyscraper will only cost $628 million; half the cost of Burj Khalifa. However, as cool as this sounds, I have some skepticism about how this can be done and so does the author. A 30 story apartment building has far fewer critical design issues than 220 story skyscraper. In the article, Head of Structures for WSP Middle East, Bart Leclercq, believes that they will run into issues with the required use of on site concrete work which provides the extra stiffness needed. In order to safely construct the building, adequate curing times are needed which would be hard to manage with the fast pace of construction. The other concern that crossed my mind even though it wasn’t stated in the article is this – what will be done about inspections and oversight? If a building is being erected this quickly, a lot of oversight and coordination will be required and I could see a lot of mistakes being made as rushed as the process would be. What is your opinion on this project? Do you think that this building schedule is attainable? What about safety and risk in regards to the building schedule? Thanks for reading and have a good weekend. Hello everyone. Sorry I have been away for so long. I haven’t felt particularly inspired to write blog posts lately, which is not a good excuse, but I am finally getting back around to writing some now. Nothing has really changed in my professional career or school activities. I am still looking for work and planning on taking the comprehensive exam to graduate. On a fun side note, I have discovered that I lost some important notes over the years so I need to figure out what to do about that. Other than that, everything is going smoothly. Today, I would like to discuss an incident in which a building collapsed and causes several deaths and injuries in Philadelphia. First of all, let’s start with a recap of what happened. The construction worker, Sean Benschop, was demolishing a four story building and part of the structure collapsed onto the Salvation Army next door. He will be charged with one count of risking a catastrophe, six counts of involuntary manslaughter, along with counts of recklessly endangering another person. Benschop turned himself and this his attorney made this statement, “He and his family are extremely sympathetic and remorseful with respect to what happened. This was an accident. Mr. Benschop is not responsible and we believe that in time the facts will show that he is not responsible and the responsible party will be held accountable.” Philly.com reports that there was marijuana and pain killers in Benschop’s blood two hours after the accident. His attorney claims that Benschop was fully able to operate the backhoe in a safe manner. In response to this incident, the city of Philadelphia has inspected hundreds of demolition sites and is planning to implement changes in building demolition regulations. This incident illustrates an interesting topic that any engineer with a PE License should understand, the designer is held responsible when his or her structure fails. And apparently, based on this specific incident, a construction worker can be held accountable if there are deaths involved. However, I think there are important questions that need to be asked. The first one is this: What is the building designers role in this? 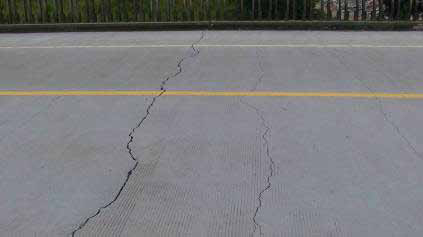 Was there an on-site structural engineer that should have noticed the danger that structure next to it could be damaged? The second is this: What is the construction managers role? Should he be held responsible for allowing an operator to work in an unsafe manner considering the pain killers and marijuana is his system? Would the construction manager be liable for the safety zone and structural concerns on site as well? And finally: Was the construction worker ordered to do the work? Is the work environment such that he can voice concerns for the safety conditions if needed? It is my opinion that not enough investigation has been done into the operation of the construction project at the time of the accident. I don’t think there will be an accurate picture of who is responsible and what actually happened in regards to the decision process if that isn’t done. What is your opinion? Who do you think is more responsible for the pedestrians deaths and why? Thank you for reading and have a good week.